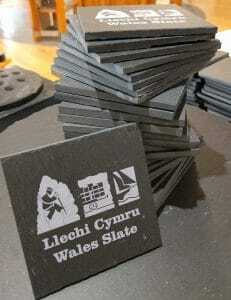 A commission for 300 of the finest welsh slate coasters to be produced for a nomination exhibition for the UNESCO Slate Landscape Heritage bid at Westminster this week. 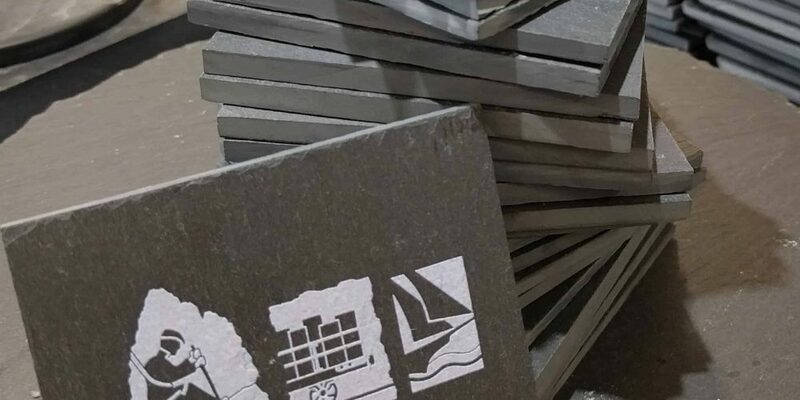 Inigo Jones are proud to support the nomination, as the slate industry is an iconic feature of North Wales, and it’s products have literally ‘roofed the nineteenth century world’. As an application was made to the Department of Culture, Media and Sport in Westminster back in 2010 for the industry to be included on the UK’s list of tentative World Heritage Sites to be submitted to UNESCO. The UK’s tentative list was formally presented to UNESCO in January 2012. The process of developing a full application for the nomination of a location as a World Heritage Site is known to be extremely long and arduous. – Fingers crossed, one step closer this week!